 Practice Size, Specialty Impact Physician Compensation - ONRAD, Inc.
ImagingBiz | Physicians who work in larger practices receive higher compensation when on call than those from smaller practices, reveals a new survey by the Medical Group Management Association (MGMA). For example, according to the study, anesthesiologists make $450 per day in groups with 25 or fewer full-time-equivalent (FTE) doctors, compared to $660 per day in groups with 26-75 FTE doctors .General surgeons in medical groups with 25 or fewer FTE doctors earn a median of $1,000 per day, and those in groups with 26-75 FTE physicians earn $1,475 per day. Survey results also indicate that physicians’ specialty can affect their on-call compensation. The highest median daily rate of on-call compensation was reported by invasive cardiologists, at $1,600 per day on call. General surgeons earn a median of $1,150 per day and urologists, $520 per day for on-call coverage. OB/GYN physicians in single-specialty practices collect median compensation that is twice that received by their peers in multi-specialty practices ($500 versus $250, respectively), while a 33% difference in median on-call compensation exists for invasive cardiologists in single-specialty ($1,000 per day) and multispecialty ($750 per day) groups. Moreover, the study demonstrates, holiday and weekend on-call rates vary by specialty. Nearly all reporting physician specialties receive higher holiday rates than weekend rates. Notably, radiologists collect $700 more for a holiday rate than a weekend rate. Orthopedists’ median holiday compensation is $1,025, and OB/GYN physicians collect a median on-call holiday rate of $125.